I'm not really sure how many people actually visit the front page, but Viral asked me to link his Engine Heart Kickstarter, so here it is! 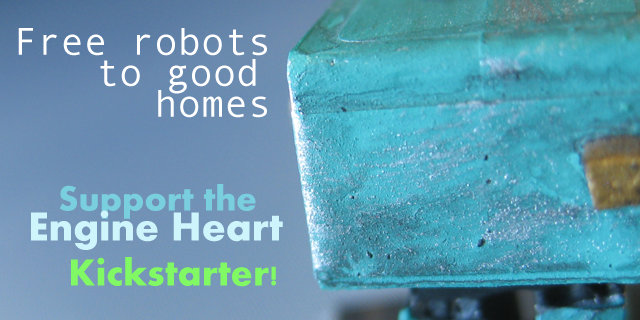 Engine Heart is a game about little robots. When the humans were around nobody paid any attention to them, but now the humans are all gone, and they're on their own in a world that's falling apart. You can download the game completely free here if you're interested, but the Kickstarter will get a physical copy in stores. Go check it out!